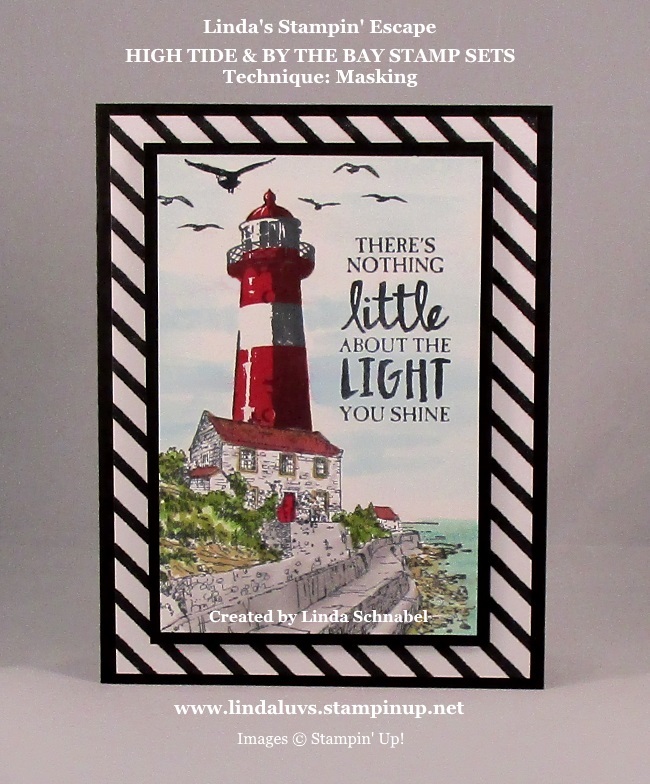 This card has been on fire on Pinterest (Thank You) and it is so simple to make. All done in Night of Navy it makes a nice masculine card that would be great for Birthdays, Fathers Day or … Thinking of you. There we go … This is what I had pictured in my head!! I wanted the lighthouse behind my cottage by the bay, so I used the masking technique. You can find the entire blog post for this card HERE. It will take you step by step how I made this card. 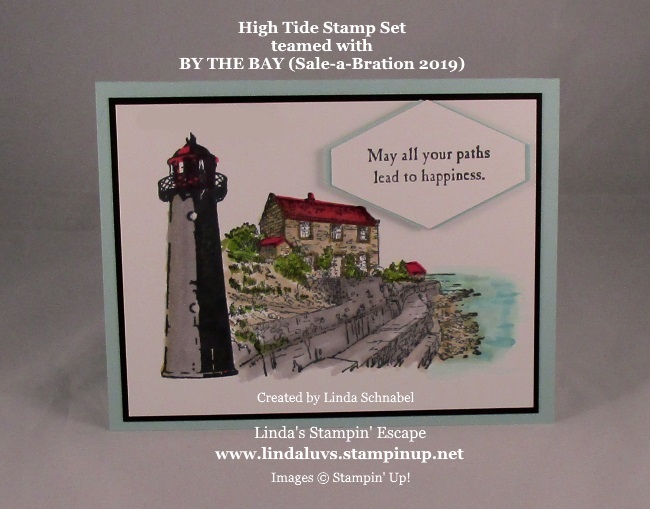 There is something about lighthouses that warm my heart … maybe it’s the light that shines bright to bring the sailors into the shores safely… and there was something about this stamp set that spoke to me and said these two stamp sets needed to be together. Thanks for hanging out with me for a while today, enjoy your day! 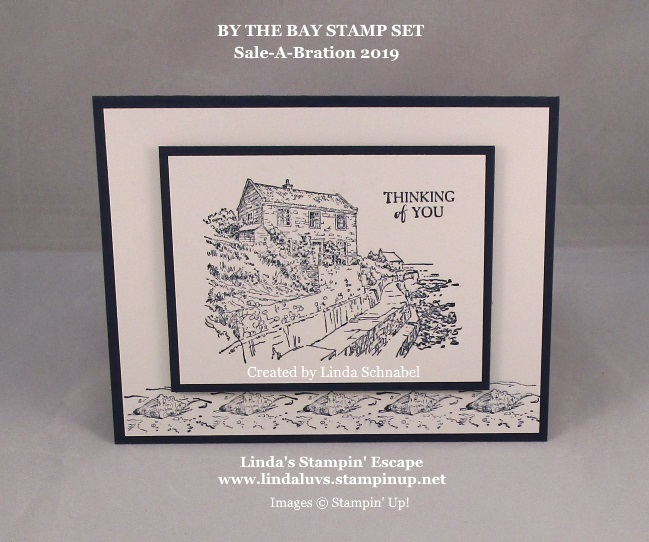 Here are the rest of the Sale-a-bration Items that are available with your qualifying purchases..